After the Allahabad High Court's judgment against triple talaq said the practice was unconstitutional and "violated the rights of Muslim women", several right-wing bodies in the country have reacted encouragingly. In a landmark verdict on Wednesday, the court held that no personal law board was above the Constitution. Muslim Rashtriya Manch (MRM), a body affiliated with Rashtryia Swayamsevak Sangh (RSS) that works for the cause of Indian Muslims, said the intention of the central government on triple talaq issue was clear: It won't have a showdown as in the Shah Bano case during Prime Minister Rajiv Gandhi's regime. "It's a welcome move and we strongly condemn the concept of triple talaq. We may have been late on having a ban on triple talaq, but it is finally in place. As per our Constitution, Indian Muslim women must be treated at par with other citizens. The Modi government has made its intentions clear on this issue. 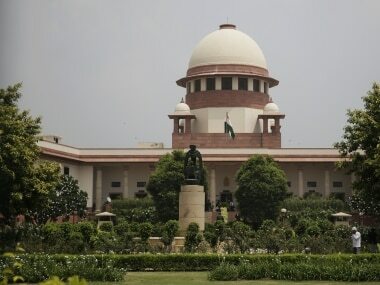 Unlike the Shah Bano case, where the Rajiv Gandhi government took to appeasement for the sake of vote bank politics, the Centre has now made its stand clear through an affidavit submitted before the apex court on this issue," said Girish Juyal, national organising convener, MRM. Citing a historical precedent, Juyal added, "A case of triple talaq came before the Umar Hazrat (583-644 CE), one of the most powerful and influential Muslim caliphs in history. He gave his ruling in favour of the woman and ordered public flogging of the person who had asked for triple talaq. The Quran and the Hadith consider divorce a crime and there's no mention of 'triple talaq' in them. Moreover, other practices like Halala and Musa also ought to be stopped, because they are also demeaning for Indian women." However, while the experts laud the Centre for its efforts to empower Muslim women, they also feel a new law needs to be enacted to repeal the Shariyat Act, in order to abolish the existing practice of triple talaq. "Though the court has sent a strong message through its order, that the 7th century Islamic Shariat law needs to be changed, the issue of triple talaq won't settle unless a new law is made. The SC has to first quash the 1937 Shariat Act," said Tufail Ahmad, executive director of Open Source Institute, a Delhi-based think tank. "It's high time that Islamic clerics understand the importance of the rights granted by the Indian Constitution to all citizens. Triple talaq violates the Constitution. 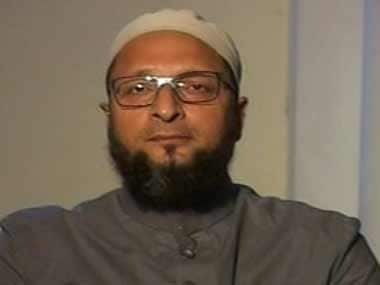 The AIMPLB, or other Muslim organisations like All India Muslim Majlis-e-Mushawarat, are essentially unconstitutional from the beginning, because they were established with the objective of working against the fundamental rights guaranteed under the Constitution," Ahmad, a former journalist with BBC World Service, emphasised. Ahmad recently proposed a draft Uniform Civil Code — the first-ever attempt to bring specific issues before the public for a wider discussion. "Unless the government repeals the Shariat Law of 1937 and 1939, and brings a new law in compliance with the 21st century ensuring protection of the rights of Muslim women, nothing practical is possible," he said. What the Shariat Act, 1937 and 1939 is about? Muslim Personal Law (Shariat) Application Act, 1937: Indian Muslims can contract marriages and effect divorce through various informal ways deemed correct by local Islamic clerics. A Muslim husband must divorce under this law, which means he cannot go to a court for divorce. He is forced to effect his own divorce through a letter, phone call, video or internet. There are two ways to effect divorce: Utter the word talaq three times, unilaterally, thereby ending the marriage. Or, deliver the talaq in three monthly installments — a three-month period during which reconciliation can occur. Dissolution of Muslim Marriages Act, 1939: This law was written to empower the Muslim women to take, not to give, divorce. Under this law, a Muslim woman can get divorce in two ways: Either she gets the dissolution of her marriage by approaching Islamic clerics; or she can get one by going to a court against her husband. The Vishva Hindu Parishad (VHP), while condemning the approach of All India Muslim Personal Law Board (AIMPLB) towards Indian Muslim women, also hailed the central government's approach towards triple talaq. It feels that the high court order will finally be upheld by the apex court as well. "This case of triple talaq won't be like Shah Bano case, because the then Rajiv Gandhi government had taken a U-turn and the judgment was reversed. We're confident that in the Supreme Court will also uphold the high court's order. 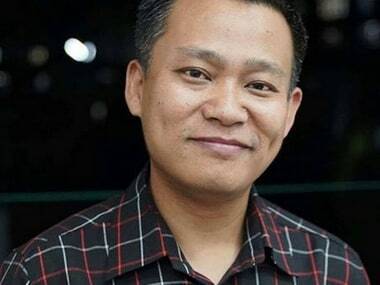 The Modi government has made its stand clear through an affidavit submitted before the apex court on this issue," said VHP's joint international general secretary Dr Surendra Jain. "The AIMPLB has always condemned any move against triple talaq and has shown severe disregard towards our Constitution and human values. The board even gave death threats to Muslim women. This board can't be above the Constitution. Moreover, it doesn't represent the entire Indian Muslim population. This can't be acceptable in a civilised society. Now, Indian Muslim women want to come out of medieval, barbaric traditions and be liberated," he added. The Muslim women's wing of MRM hailed the HC order as a success, and said 5,000 Muslim women had garnered courage for a signature campaign. 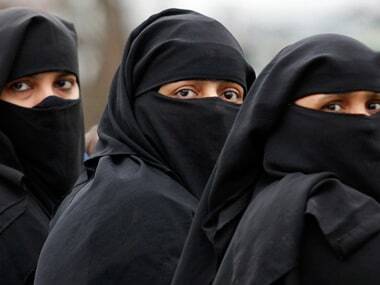 "AIMPLB failed to ensure rights to Muslim women. I had questioned the board on why triple talaq hasn't been discontinued even after more than six decades of Independence. Pakistan doesn't have triple talaq, but secular India has it, which is a shame. There's no mention of this concept in the Quran or the Hadis. A hapless Muslim women are thrown out of their houses by husbands by saying, 'Talaq-talaq-talaq'," said Reshma Husain, national convener, women's wing, MRM. 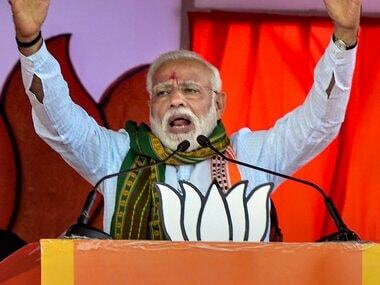 Condemning the vote-bank politics of previous governments, she added, "The previous Congress government used the Muslim community as a vote bank. They failed to separate religion from our Constitution, when it came to provide rights to women. It's a victory for these 5,000 Muslim sisters who went for a signature campaign to seek deletion of triple talaq. We too have simultaneously undertaken a signature campaign across the country and we expect to get 10 lakh signatures from Muslim women supporting a ban."